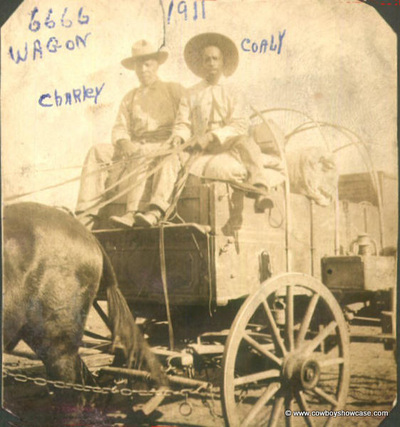 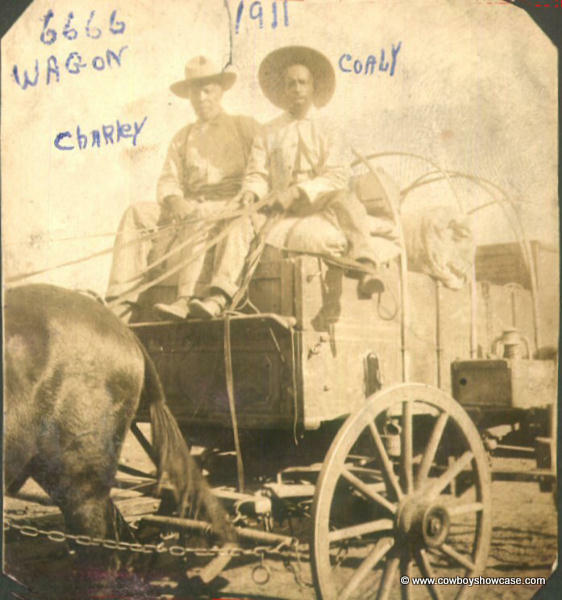 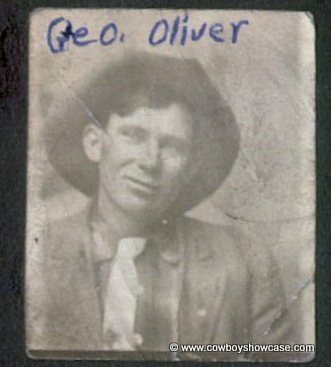 Here are an interesting set of Texas cowboy photographs courtesy of Leslie Oliver. 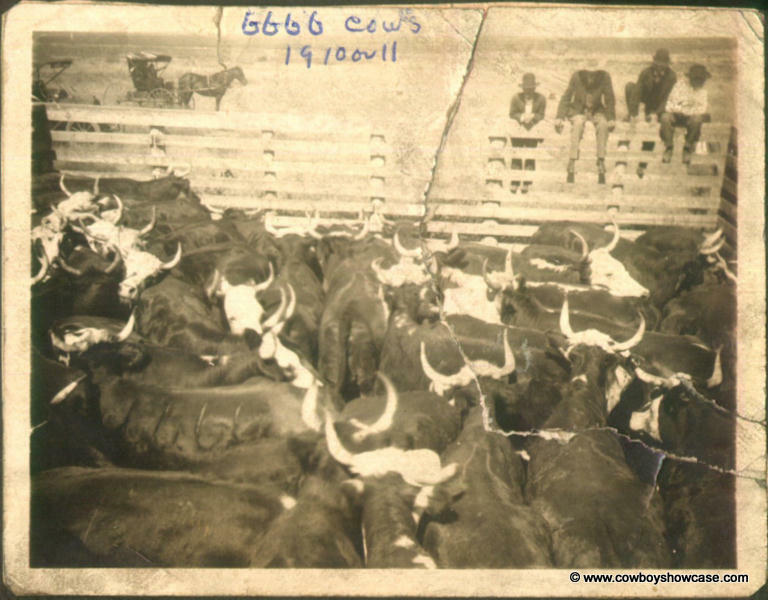 The pictures originally belonged to her great grandfather Gordon Oliver who cowboyed on the 6666 Ranch in Texas around 1910. 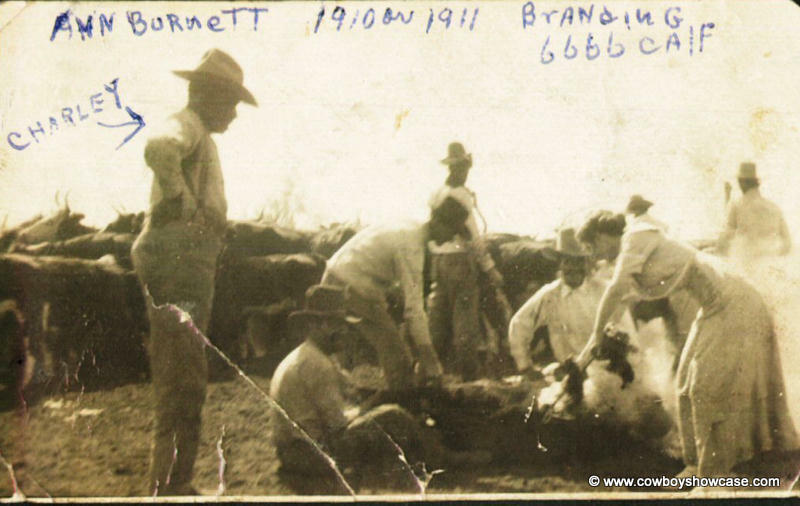 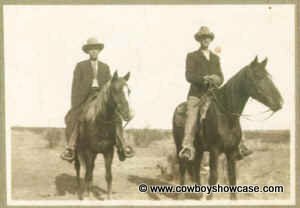 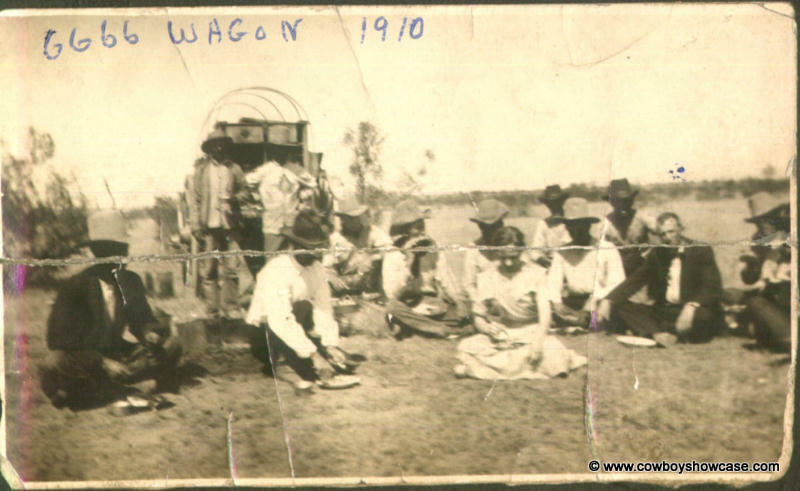 Ann Burnett was a 6666 Ranch owner and is shown in the photos below branding cattle and eating with the cowboys at the wagon. 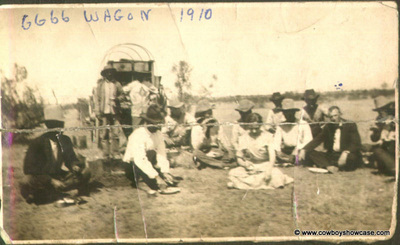 Click on photos for larger views and text.